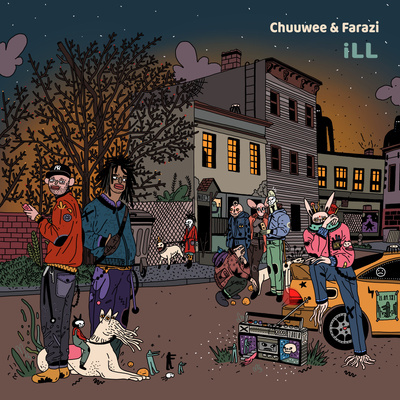 Sacramento emcee Chuuwee dusts off his title as “Hip Hop’s Savior” for a new old school homage with Turkish producer Farazi. No given release date or details are behind the track other than that a collaborative album is in the works entitled “Low Level iNTELLIGENCE”. Complex: "Sacramento rapper Chuuwee dropped one of my favorite hip-hop projects of 2015"
HYPEBEAST: "Continuing to support Sabbath and his ever-growing body of work, the talented lyricist returns with a new visual"
Amoeba Music: "Sacramento rapper Chuuwee has been smashing the underground scene for over seven years now and it's about time Hip-hop fans caught on"
DJ Booth: "Since his early days as an MC, Sacramento’s Chuuwee has never been afraid to blur genres and experiment with wide-ranging sounds"
Mass Appeal: "If you a fan, you already know. If not, this song we’re premiering today is a prime example of Chuuwee's style and subject matter"
Okayplayer: "Chuuwee has grown into a master songwriter and performer"
Sway's Universe: "Chuuwee returns with another new showcase of his lyrical talents"
Earmilk: "The one verse effect is used to the fullest here as Chuuwee delivers his unique, non sequitur brand of lyrics"